In 2013 Conference Partners welcomed over 600 international travel bloggers to Ireland for the World’s largest gathering of travel bloggers, writers, and new media content creators. The Travel Bloggers Exchange European Conference (TBEX) provided Conference Partners with an ideal opportunity to showcase a truly unique and creative social programme which consisted of sponsored themed events with exhibits of local fresh produce and entertainment. Conference Partners’ Commercial Partnership team exceeded the client’s sponsorship target of €70,000 and achieved €93,000 over a short lead time of five months. 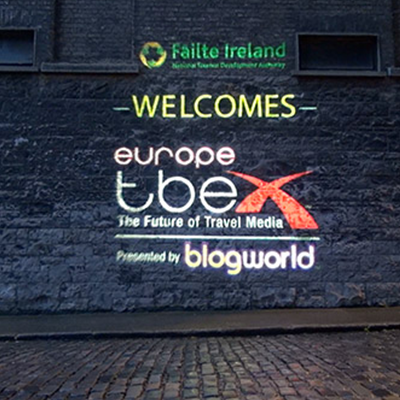 Delegates, Travel Writers and bloggers shared their unique experiences of 2013 online in the weeks following the conference – TBEX 2013 received over 200 million individual online impressions.